Soon after a lung cancer diagnosis, questions about the stages of lung cancer, treatment, effects and more, all start to surface. Asking questions is a positive sign because it means that you are getting educated so you have the best chance at beating this. One of the first things people tend to want to know is the staging of their cancer. Most know that cancer is divided into stages that help doctors determine what treatment options there are and help people learn about their prognosis. Even at stage four, you still need to take time to learn about your illness, which can help you understand what your options are. There are things you can do to be able to fight harder. There are always options, either to extend your life or to help you better cope with the hand that you are dealt. 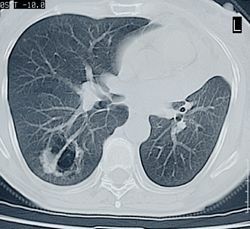 CancerFightingStrategies.com offers information that people at all stages of lung cancer will want to be familiar with. Beyond doing what your physician suggests you do, the information on this site can help you increase your chances of survival at any stage. When you're about to undergo surgery, radiation treatment, chemotherapy, or another cancer treatment you'll need to be as physically healthy as possible and well informed. Create an environment that's toxic to cancer cells without being toxic to you. Help you boost your body's immune system so that it can be prepared to fight hard against cancer, despite chemotherapy making it difficult. Even with a cancer diagnosis, you should not count yourself "out". There have been miraculous cases of people overcoming many types of cancers, even at advanced stages.